that have come together. For individual bios, go here. latest announcements about all festival participants. 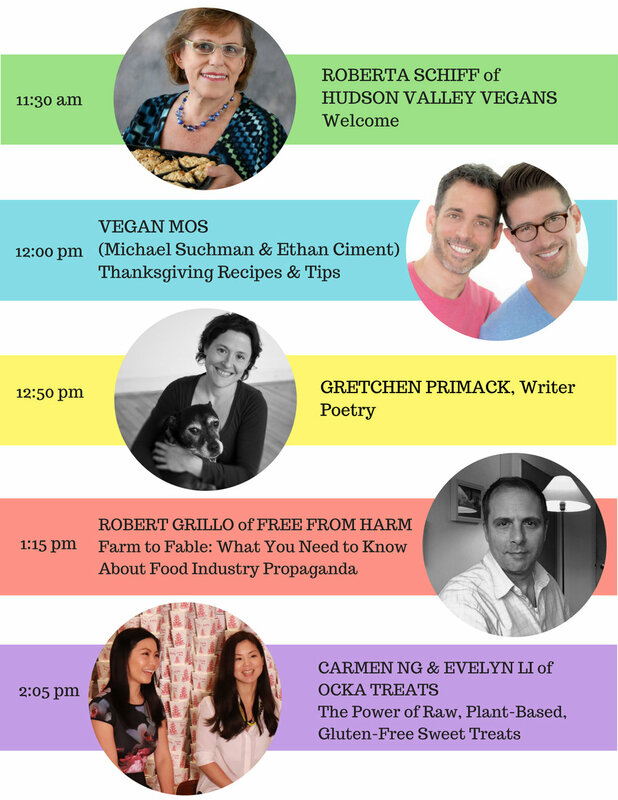 "The Queen of Vegan Desserts" and cookbook author does a sublime cooking demonstration to satisfy any sweet tooth! The groundbreaking follow-up film from the creators of the award winning documentary Cowspiracy. This film is changing lives. A second presentation by the vegan muscle team of athletes that is busting perceptions across the nation. In their demonstrations, they will show you the incredible athletic potential of being vegan and choosing to be powered by plants! Educating on the sentience, intelligence and importance of fish and marine life. We have only a little time left to listen, learn, care - and take steps to save our oceans. Empathy and compassion can change the world... learn from some local activists who are proving just that! Propelled by his own compassionate journey and years of incredible work – as a physician, an advocate for a nutritional plant-based diet for Africa to end cycles of poverty and malnutrition, working with vegetarian/vegan societies in Ghana and Togo and being instrumental in establishing the first Ethiopian Vegan Association, Dr. Roba’s story, efforts and voice will move and inspire everyone to embrace a more global, just and compassionate vision. HANNAH KULLBERG: EVERYTHING YOU NEED TO KNOW ABOUT BEANS! Nourishing, whole foods, delicious beans - how to get more of them into your diet to reap the benefits of their nutritional powerhouse perfection! With over 70 members around the country, Plantbuilt athletes are all committed to the highest levels of athleticism in tandem with educating on the benefits of veganism and being cruelty-free. In the words of the collective: "We live, train, compete and educate in our communities, showing the success of compassionate veganism." Live your best life - learn from a 32 year vegan teacher and inspiration! Presenting a cooking demo to warm up your Fall with curry and spice! Authors who weave their ethics about animals into their exciting work... enlightenment comes in so many written forms!